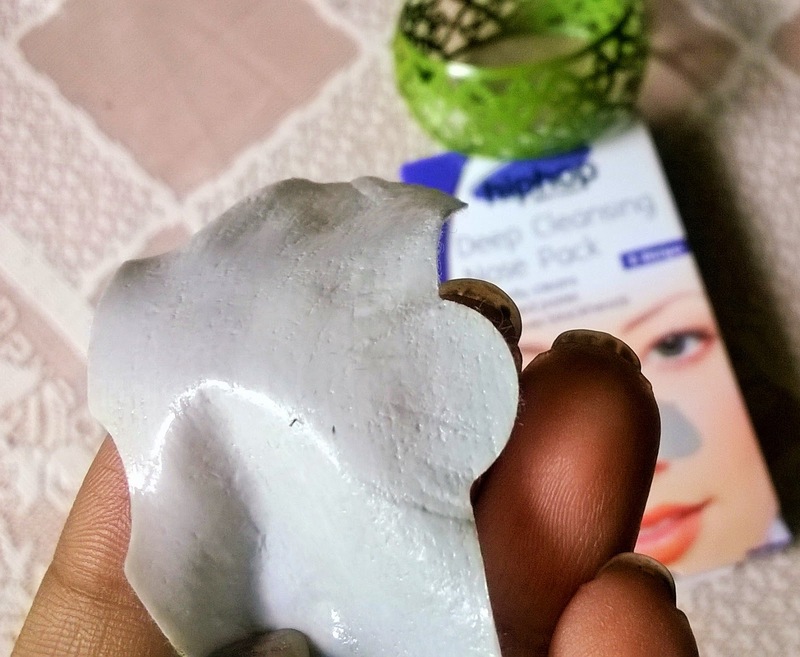 One of the most common problems we face in our skin is that of blackheads, specially if you have oily skin. Exfoliating is a good way of keeping the pores unclogged and blackheads at bay. But frankly who has the time to exfoliate on a regular basis? 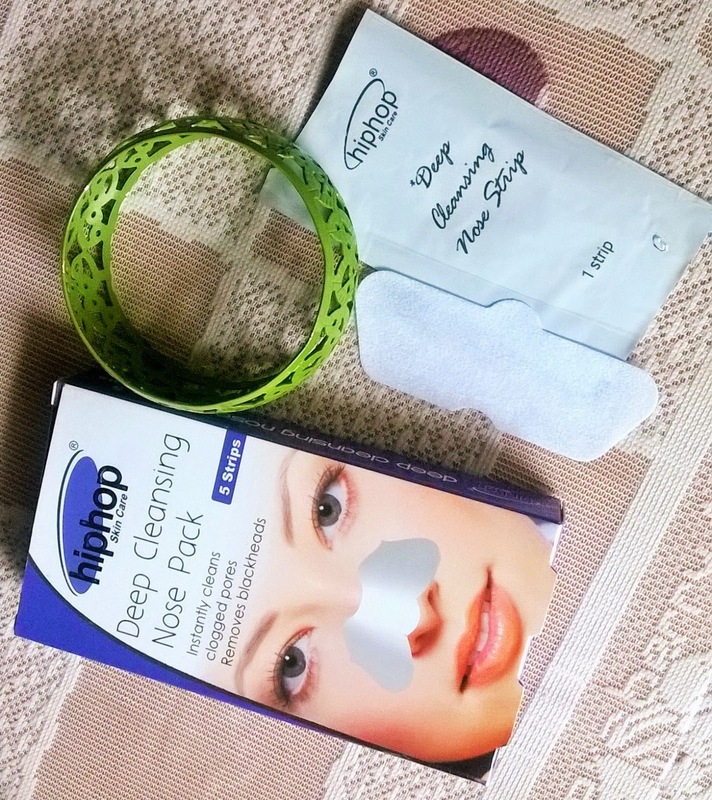 Blackhead removing strips are a very popular alternative, used extensively throughout the world. 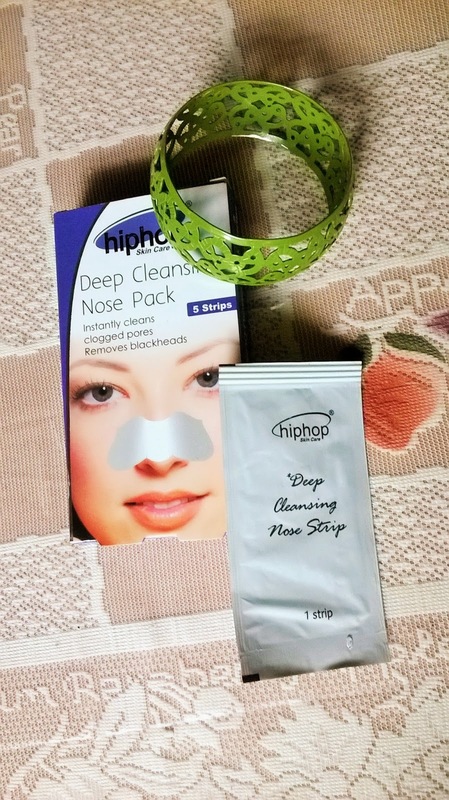 Today I will be talking about Hiphop Skin Care Deep Cleansing Nose Pack-a blackhead removing strip. 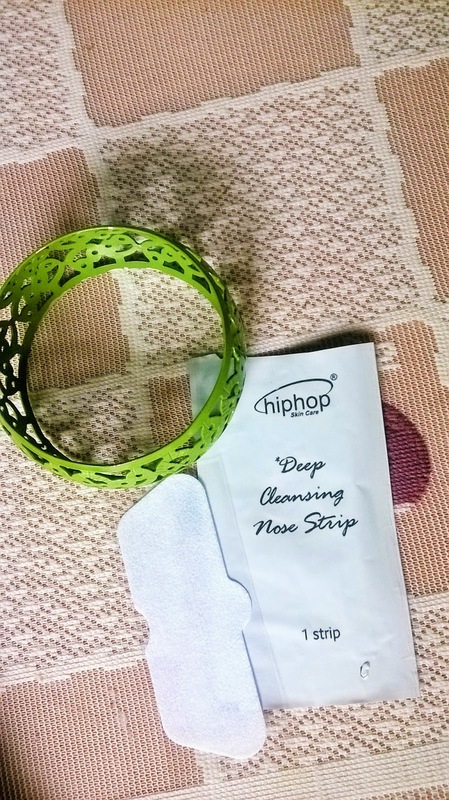 •Hiphop’s Deep Cleansing Nose Strips are designed to remove dirt, blackheads, oil and unclog pores from the nose area. 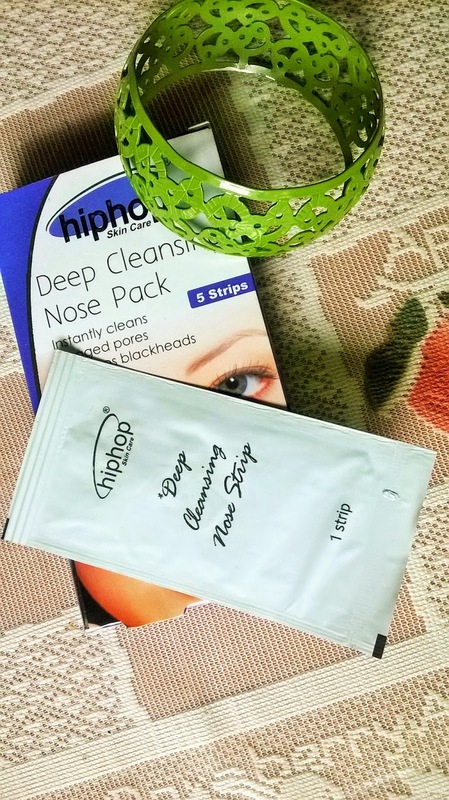 Packaging: Hiphop Skin Care Deep Cleansing Nose Pack comes in a cardboard packaging which has 5 white sachets, each containing 1 strip. Product: The product is white curvy shaped tissue like strip, the sticky side of which is protected against a very thin plastic film. My Experience: First of all I am really excited to see that an Indian company has come up with these user friendly Essential products. 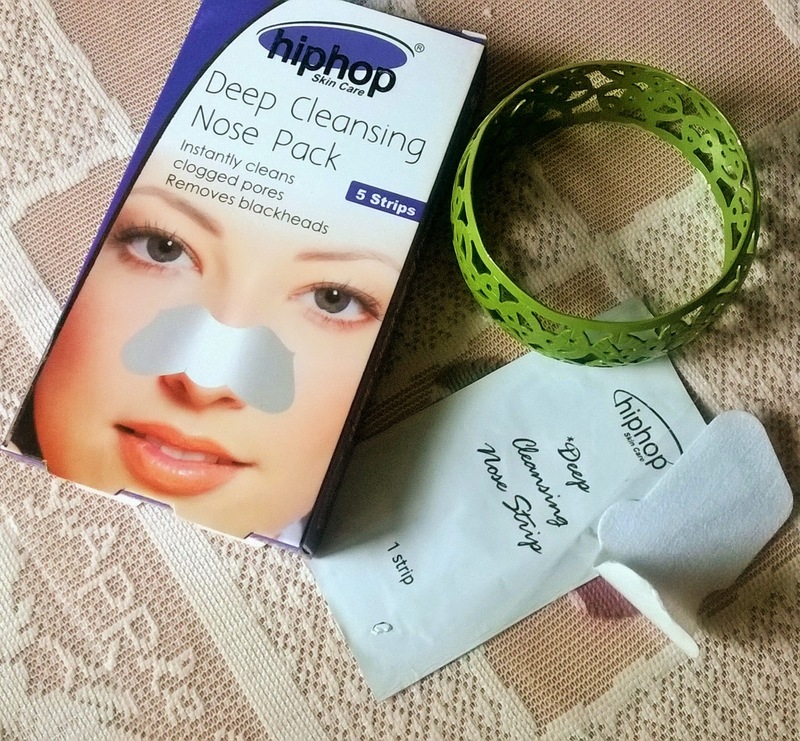 Blackheads are a regular trouble in my life.So I was very excited to try out the Hiphop Skin Care Deep Cleansing Nose Pack. I was happy to observe a very mild fragrance which is generally absent in these kind of nose strips. The instructions are given clearly on the package and it is very easy to follow. 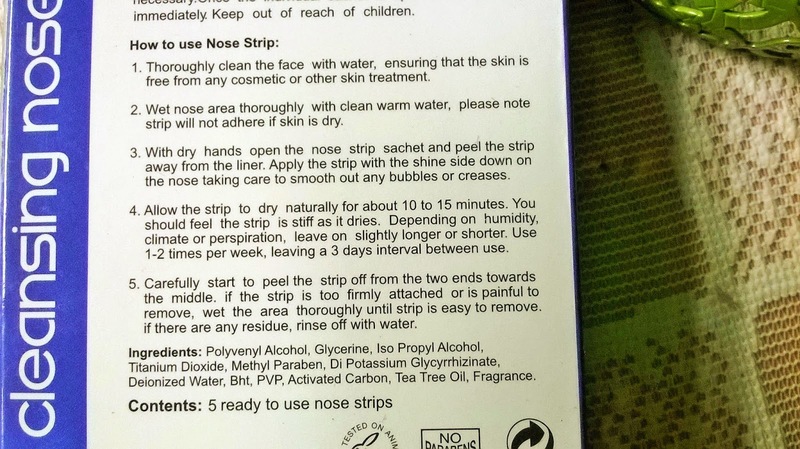 I followed all the instruction carefully and kept the strip on my nose for about 15 minutes. After when i pulled the strip out, I could see the ugly black heads stuck to the strip. I checked the mirror and saw that my nose was considerably in a better state. I would not say it had totally got rid of the blackheads. There were still some left, specially on the lower tip, where I felt the product could not reach. But the result was satisfactory. 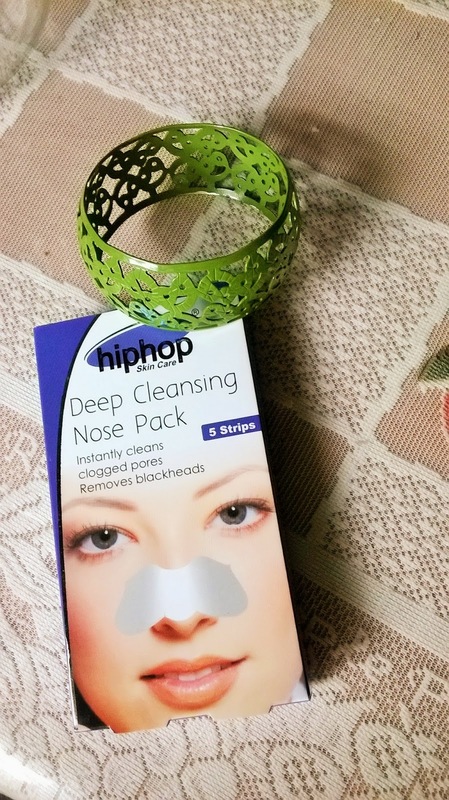 Hiphop Skin Care Deep Cleansing Nose Pack is a decent black-head removing strip that can give satisfactory results. 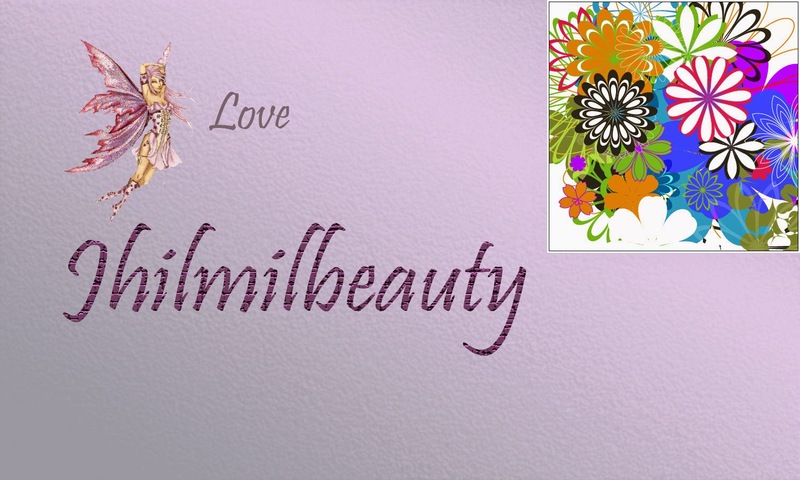 If you have severe blackheads do not expect a miraculous clean effect with the strip. However, for cleaning follow ups it is a great option.